Poor footwear choices will no longer be tolerated! I guess that the art of shoe shopping and shoe appreciation just isn’t a right of passage for men like it is for women. Maybe it’s simply an important detail that mothers forget to mention to their sons while growing up or maybe many of you have just chosen to be blaze, whatever the case many men seem to bypass the very important detail of recognizing, and wearing, the appropriate foot accessories. Now, I know that any shopping task can be daunting for a rookie, so I wanted to give you some advice from a seasoned professional. Choosing the proper styles for every occasion does not need to involve superb sartorial skills, it’s all about buying the right looks to coordinate with every aspect of your lifestyle. In my experience classic and simple styles are always the best option for wardrobe longevity. Here are a few options that have gained high acclaim from, not only this author, but many trend setters and fashion favs that can be found wandering the streets of Toronto today. 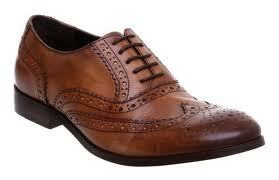 If it ain’t Brogue, don’t wear it! When choosing this look a classic brown is usually your best choice. This lighter hue will better showcase the details of a classic brogue whether they be lazer cuts, perferations or wingtips. This look can be taken from sophisticated and formal to casual and on the go. Pairing a traditional brogue shoe with a classically cut flanel suit will display your fashion sophistication, while sporting them with a cuffed dark demin and a chunky knit sweater can play up your casual, clean and contemporary look for Spring. 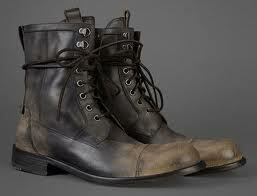 This distressed leather style says “I’m all about no fuss and no muss” and plays to a lazily dressed persona. This look is unpolished and best worn with a super slim jean or skinny chino trousers and a sport coat. These boots should be on display for all to see, so always tuck your skinnys into the boot. Look for a vintage wash, or waxed leather. No heavy stitching! This boot should look like it’s been well traveled and worn in. If any boots were made for walking it’s these! When searching for a classic men’s dress. Set your sights on a mat leather. In my opinion a calf skin dress shoe is always the best choice. Remember that a dress shoe is not to be taken lightly. 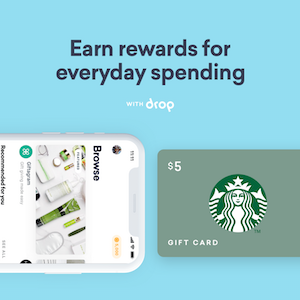 Don’t be afraid to over spend. You will have these puppies forever if you want them. Well made products can easily be brought back from near death with a simple polishing, re-sole, or dye job. 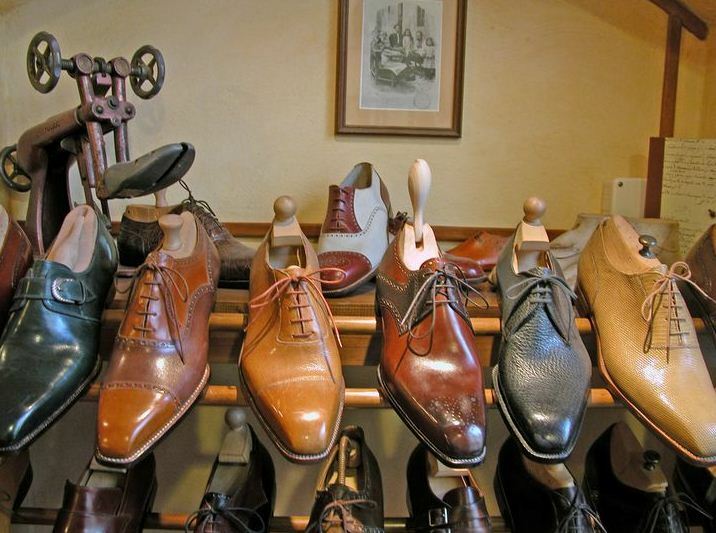 Any skilled cobbler is able to perform miracles on your footwear IF your original product is equipped with a well made sole and quality leather work. Search for timelessness in your dress shoes. Especially if you aren’t a dress shoe kind of guy. You will want to stick with black if these will be your only pair, however, if you’re a suit and tie kind of guy feel free to play with browns, grays and even red tones. You want to look sharp when you do go out, especially if you only wear your dress shoes for special occasions, so don’t cheap out on these ones. Make the smart choice. 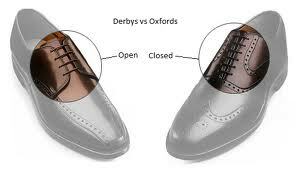 Oxford’s or Classic Derby’s are always my favourite choices. They can be paired with any suit or dress look. They are timeless and look best with a trouser, it doesn’t matter weather you are a wide cut or slim, a shoe goes a long way. Looking for a great casual shoe that isn’t a runner or trainer? Be adventurous! Choose something special and different like a statement driver. 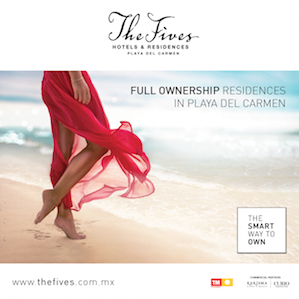 They are incredibly comfortable, stylish, and versatile. These shoes look great with any casual look – from your “go to” Saturday afternoon jeans, to shorts and a white tee – a driver is sure you keep you looking current and fun. These are the perfect Spring/Summer shoe! My advice. 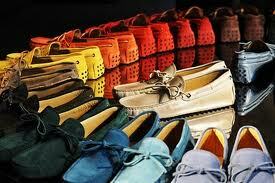 Do not be afraid of colour and texture (leather, suede, cavas) with these slipper like “sole buddies”. If the shoe has a heavier weight and strong rubber sole it can even be worn into the Fall and Winter. Think Hugh Hefner with a modern twist. You’ll look and feel regal in these awesome kicks.